This is one in the series of "Then And Now" titles featuring cities like Paris, New York, London, Chicago, Seattle, and St. Louis, among others. A fascinating collection of old and new photographs depicting the changing times, especially around the time of the 1906 earthquake and subsequent fires. Some of the original buildings are still there and some have gone through a transformation or two. Even though the book was brought out a few years ago and things have probably changed again somewhat since then, this is a collectable book, especially for those who love to travel and have been to the cities featured. Or not. If you like beautiful books, then these are certainly the ones to have gracing your coffee table. I've also reviewed their books on Havana, Las Vegas, and Rome. 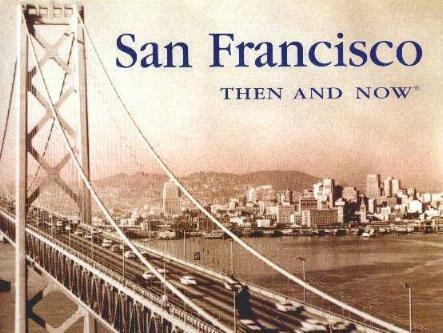 SAN FRANCISCO Then And Now may be purchased and/or ordered through your local bookstore. Conclusion - I love these books and can't get enough of them, and they make wonderful gifts.